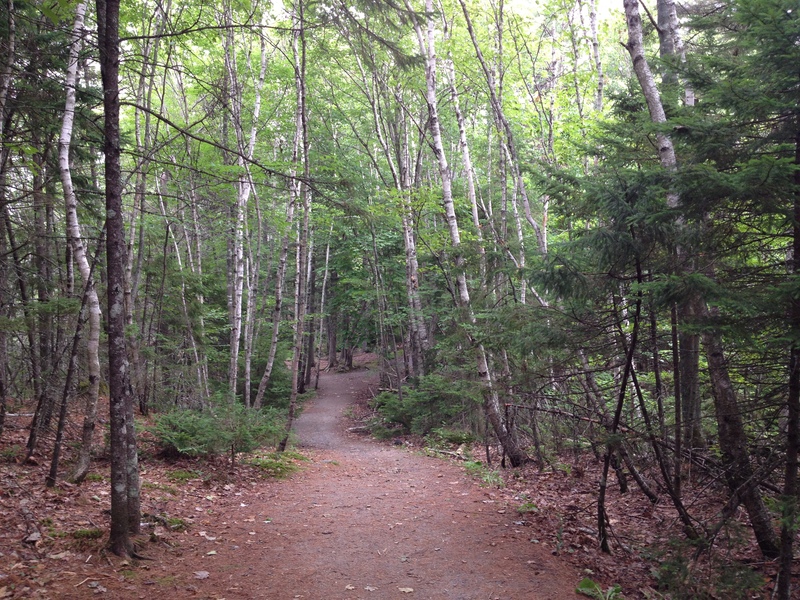 Thirty-sixth in a series of posts celebrating 200 years of Jane Austen’s Mansfield Park. For more details, open Your Invitation to Mansfield Park. 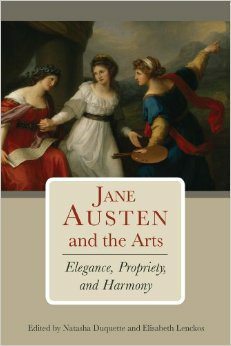 Elisabeth Lenckos is the co-editor, with Natasha Duquette, of Jane Austen and the Arts: Elegance, Propriety, and Harmony (Lehigh University Press, 2013), and, with Ellen J. Miller, of “All This Reading”: The Literary World of Barbara Pym (Fairleigh Dickinson University Press, 2003). At this year’s JASNA AGM in Montreal, she presented a paper on Mansfield Park, Elizabeth Inchbald’s plays, and the scandalous story and trial of Warren Hastings. Elisabeth has taught comparative literature for more than twelve years and is currently writing a historical novel about an adventuress in Jane Austen’s world. Her story “Jane Austen: 1945” was published in Wooing Mr. Wickham (Honno, 2011) and her story “Mary Crawford’s Last Letter” was shortlisted for this year’s Chawton House Library Short Story Award. 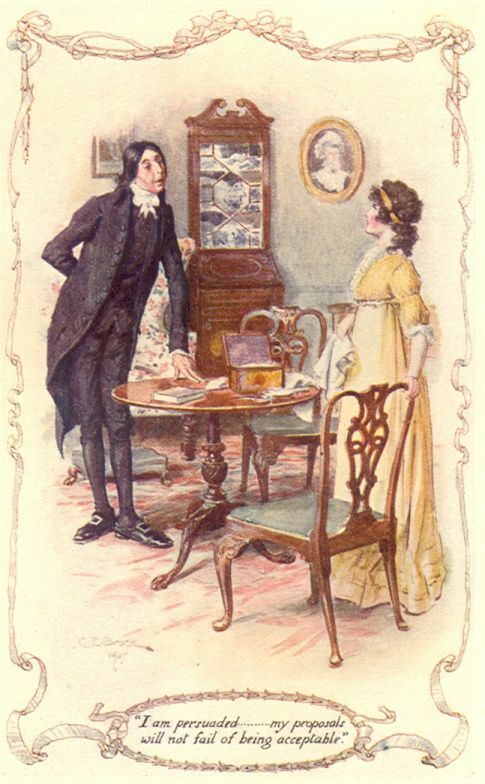 Sir Thomas Bertram’s reflections on the effect of Mrs. Norris’s “excessive indulgence and flattery” prompted Elisabeth to explore the topic of flattery in Mansfield Park. Too late [Sir Thomas] became aware how unfavourable to the character of any young people, must be the totally opposite treatment which Maria and Julia had been always experiencing at home, where the excessive indulgence and flattery of their aunt had been continually contrasted with his own severity. The humor of the scene, arising from the consummate flatterer’s lack of awareness that he is being duped into giving away his secret by means of the praise Mr. Bennet lavishes on him, remains unequalled in the author’s oeuvre. Certainly, no situation as comical as this can be found in Mansfield Park which, in keeping with the novel’s more serious approach to human fallibility, treats flattery – defined by Johnson’s Dictionary as “fawning; false, venal praise” – with greater gravity. Flatterers abound at Mansfield Park, most notably, Mrs. Norris, Henry, and Mary Crawford. But their fawning fails to divert the reader, since it is a precarious, underhand activity, which inveigles its objects into an inflated, unrealistic sense of their supposed superiority. If, as in Mr. Collins’ case, the quality of flattery is to be judged by the subtlety with which it is performed, Mrs. Norris, of the Mansfield Park trio of sycophants, is the least accomplished, the venality of her praise so obvious, one wonders how the Bertrams can possibly be deceived. By contrast, the Crawfords’ adulations are far more elegant, with Mary taking the lead over her brother in terms of sensibility and diplomacy. From the beginning, Mary considers including Fanny Price in her blandishments, and she inquires whether the young woman is “out,” in order to discover whether she is worthwhile complimenting (Chapter 5). Her question is therefore not so much evidence of Mary’s solicitude, but merely signifies the experienced flatterer’s attempt to establish the persons she should favor with her honeyed attentions – and those who will have to do without. There is no doubt that Mary is possessed of a natural tact, which prompts her to treat Fanny with an off-hand kindness; however, her growing interest in the Price girl is to be explained not by increasing fondness, but by the respect in which she perceives her to be held by Edmund, and later, Henry. Henry’s flattery is altogether more distasteful, since he confuses the process of insinuating himself into the heart of a woman with love. Aimed at ladies who, when they lose their reputation, lose everything, Henry’s enticements have dangerous, ruinous consequences, as Maria Rushworth, née Bertram, discovers too late. 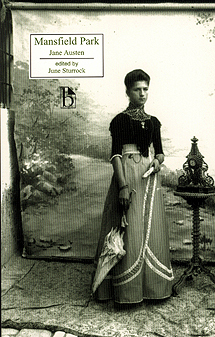 Fanny Price intuits Henry’s lack of insight – to which he himself falls prey when he begins to believe his own fiction that his feelings for Fanny are profound – but it avails her little. Sir Thomas lashes out at her when she refuses Henry’s offer of marriage and exiles her to Portsmouth until she is willing to acknowledge the error of her ways. Once there, Fanny indeed experiences a revelation. She realizes that civility, the lovely Cinderella to those ugly stepsisters, flattery and sycophancy, must be part of every household, because without consideration and mutual respect, there can be no happiness in the home. Her father’s lack of veneration for her mother and the inability of the Price family to maintain good manners wear on Fanny, and she longs to return to Mansfield Park. This does not mean she is a snob; she sees quality in her brother William and her sister Susan, and she does not blind herself to the rudeness of well-heeled people, such as Mrs. Norris and Maria Bertram. Unlike her aunt, whose “excessive indulgence and flattery,” has spoilt two of her nieces for the remainder of their lives, Fanny Price does not venerate rank for the sake of rank. As her name implies, she knows the true value of people and things. Regardless of Fanny’s virtuous strength, however, Mansfield Park holds the stunning revelation that she is, nevertheless, susceptible to flattery. As the narrator tells us: “although there doubtless are such unconquerable young ladies of eighteen … as are never to be persuaded into love against their judgment by all that talent, manner, attention, and flattery can do, I have no inclination to believe Fanny one of them” (Chapter 24), and this information is crucial, since the “talent, manner, attention, and flattery” she mentions are those of Henry Crawford, who has just confided in Mary that he intends to employ these talents in order to make “a small hole” in Fanny’s heart. This phrase is possibly the most cruel, uncaring statement made by any young gentleman in Austen’s oeuvre, showing what is at stake if Fanny falls prey to his intrigues. Austen’s novels feature many flatterers, who are also lovers, and pose a threat to the happiness of her heroines; Willoughby in Sense and Sensibility, Wickham in Pride and Prejudice, Frank Churchill in Emma, and Sir William Walter Elliot in Persuasion. Is Henry Crawford the most dangerous among them? The question is probably a matter for discussion, but he is the only Austen villain who has the added advantage of an equally devious sister, acting as his messenger and intermediary. Fanny Price is, among her leading ladies, alone in having to withstand the attack of not one, but two potential seducers – Henry and Mary who conspire to break down her reserve with the sibling weapon of their supposed charm, and, when their flattery fails to have an effect, resort to denunciation, and in Henry’s case, the punishment of the entire Bertram family. 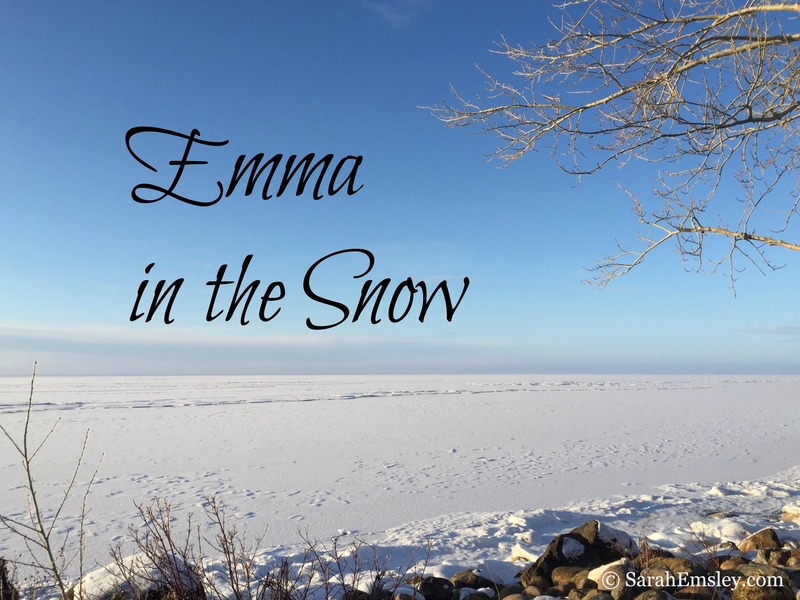 It is only in the conclusion to the novel that we see just how charm-less the charismatic Crawfords are, and we breathe a sigh of relief that the spell they exerted on Edmund and his father was not meant to last. In the end, Fanny Price’s goodness and honesty prevail against the flattery of Henry, Mary, and Mrs. Norris, and once the three flatterers are exiled from Mansfield Park, truth and harmony rule her arcadia. To read more about all the posts in this series, visit An Invitation to Mansfield Park. Coming soon: guest posts by Sheryl Craig, Ryder Kessler, and Sheila Johnson Kindred. This week, in honour of Jane Austen’s birthday, there’s one post per day. At the risk of offering “too much flattery,” this article tickled my fancy and encouraged yet another look into Mansfield Park with new insight! Thank you, Ms Lenckos! What a creative and perfect metaphor you use in the sentence beginning, “She realizes that civility, the lovely Cinderella to those ugly stepsisters, flattery and sycophancy…” And I believe you have clarified for me why I just could not like Mary Crawford even when she was being kind to Fanny! There was always just such an element of insincerity about her, I felt. I remember noticing when she comes to Sir Thomas, Lady Bertram, and then Aunt Norris at Fanny’s Ball, with her little flattering compliments that she thinks they will like to hear, and it succeeds with them, but totally fails with Fanny! And thank you for saying you feel that Henry Crawford’s confession of his intention to use his talents, attention and flattery to “make a small hole in Fanny Price’s heart” is one of the cruelest statements in Austen’s writing. I have always had such an abhorrence of that expressed intention and therefor of him, in spite of all his charms, and could never understand how many thought it would be better for Fanny to have married him!!! The scene with Mr. Bennett making fun of Mr. Collins’ false flattery has always been a favorite with me as well, and such a great insight into Austen’s very astute awareness of human frailty and ability to use wit to expose it. Thank you for your kind and thoughtful email and for taking the trouble to send it. 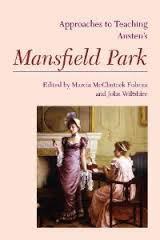 I am very happy to know that I have connected with a like-minded reader of Mansfield Park. As you say, many people are seduced by Henry and Mary, who are accomplished in the art of flattery and know how to “make love,” unlike clumsy Mr. Collins, who fools (almost) no one with his clumsy praises. Like you, I believe that the threat contained in Henry’s “promise” is to be taken seriously, especially since we know how capable Fanny is of loving truly and deeply. I have no doubt that if Henry and she had got together, he would have tired of her artlessness in a heartbeat.